WhatsApp has made a number of improvements to the way group chats work. Most of the improvements are on the admin side of things, but all of them are designed to help people use WhatsApp group chats more effectively. Or at least that’s the hope. 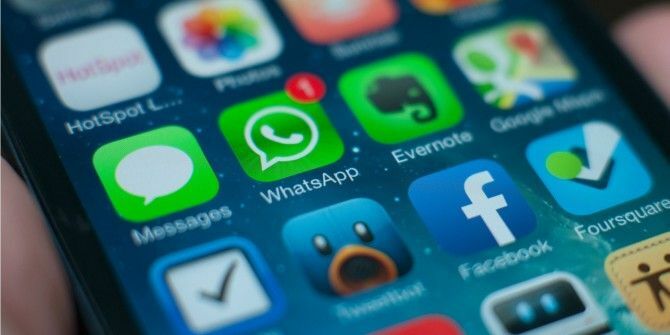 With 1.5 billion users, WhatsApp is a popular way of communicating with family and friends (unless you use Windows Phone or Blackberry WhatsApp Ends Support for Windows Phone & BlackBerry WhatsApp Ends Support for Windows Phone & BlackBerry WhatsApp is no longer supporting BlackBerry OS, BlackBerry 10, and Windows Phone 8.0. Which is entirely understandable given the small number of people still using them. Read More ). However, while one-on-one messaging is faultless, group chats can be confusing. Which is a problem WhatsApp is trying to solve. In a blog post detailing the changes, WhatsApp states that groups have always been an important part of WhatsApp, whether helping “family members connecting across the globe or childhood friends staying in touch over the years”. However, realizing just how important groups are these days, WhatsApp suggests that “new parents looking for support, students organizing study sessions, and even city leaders coordinating relief efforts after natural disasters” now use them. Groups now come with a description detailing the “purpose, guidelines, or topics for the group”. And when a new person joins they will see this description at the top of the chat. Improved controls means admins can now “restrict who can change the group’s subject, icon, and description”. However, “group creators can no longer be removed from the group they started”. A new catch-up feature lets users who have been away for a while quickly catch up with messages that mention them. And all they need to do is tap the @ button at the bottom of the chat. Finally, you can now find anyone in a group by searching for them on the group info page. All of these new features are available in the latest version of WhatsApp, available on Android and on iOS. When taken individually none of these changes is much to write home about. However, collectively, they should help make WhatsApp group chats much easier to manage. Which could be the key to help WhatsApp attract its next 1 billion users. If you’re just now joining the WhatsApp party, you should take a look at our rundown of the best WhatsApp features everyone should know 10 Best WhatsApp Features Everyone Must Know 10 Best WhatsApp Features Everyone Must Know Want to get the most out of WhatsApp? Some features -- hidden and obvious, new and old -- are essential to improving your experience. Here are some of the best. Read More . And if you’re a WhatsApp veteran who thinks you already know all of the tricks, check out the latest WhatsApp features 6 New WhatsApp Features You Need to Know: Status, GIF Search, and More 6 New WhatsApp Features You Need to Know: Status, GIF Search, and More WhatsApp's new features make it more like a social networking app, and give you a lot more ways to communicate with your friends. Learn what they are, and how to use them, here. Read More . Explore more about: Online Chat, WhatsApp. Due to the fact that I have too many WA groups. Is there a way to maybe change each page to a different color so I know which one I am on immediately. Sometimes when. I get caught up in the moment I tend to send the wrong message to the wrong groups.